Lions and monkeys and zebras, oh my! 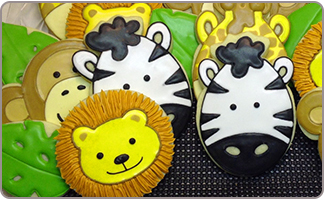 There are so many fun-filled safari party ideas that will help bring a bit of the wild and cute side to your little one's birthday bash. 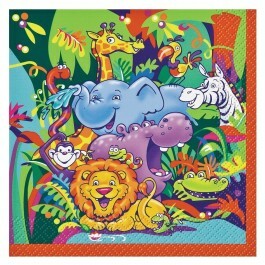 With vibrant colors and happy animals adorning every surface, it is sure to be a jungle safari everyone will enjoy. With a safari theme party you should consider hosting the party in your backyard if the weather and the season are appropriate for outdoor events. Your patio can be transformed into a mini-jungle that will just add to the ambience of the jungle party. Encourage the invited party guests to dress up as their favorite jungle animal, with the parents dressing up as safari guides. What fun it will be to see all of the little monkeys and elephants! Host the safari birthday party on a date that will work best for most people. Weekdays typically do not turn out well for those who are working, so perhaps an early Saturday morning would be a better choice. Keep the guest list short and sweet, inviting only a few children under the age of 18 months and their parents. Older siblings are always great to have in attendance because they can help to supervise the babies! Look into hosting the party at an area park, a party event center, or your local YMCA. These can be affordable options that also reduce the cleanup you'll have at home. There is no better place to host a safari theme party than at your local zoo so be sure to look into that as an option for smaller parties. 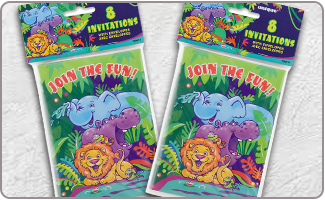 Our selection of brightly colored and cheerful Jugle safari party invitations will save you time and be a great way to introduce the theme of the party. Include a phone number and email address on the invitations so that guests can RSVP swiftly. A self-addressed stamped postcard could also work for RSVPs but people are much more likely to shoot off a quick email these days. Your craft supply store will offer you a treasure trove of goodies to create your own charming invitations. 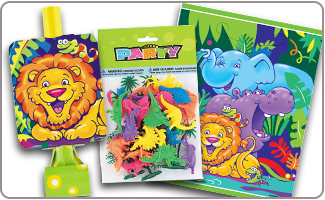 Poster board and animal die-cuts will get your safari theme off to a roaring good start. Use greens, oranges, and even stripes to decorate the invitations. 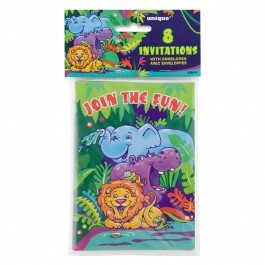 The safari theme offers a lot of great choices for invitations. From elephants with moveable trunks to using textured craft paper for a crocodile-themed invitation. Your choices are only limited by your imagination. A pair of binoculars cut out of poster board also makes a fun idea for the safari party invitations. With a bit of twine and two holes punched on each side of the binoculars you will have a really fun and unique invitation. Felt and yarn can also be a great way to decorate the invitations with a lion or a monkey theme. Little guests won't be able to play many games, but you could have a lot of fun by getting them to interact with various jungle animal plush toys. Ask the little ones to identify which one is the lion and have them mimic the sounds that the lion or other animals make! This is sure to delight the little ones! 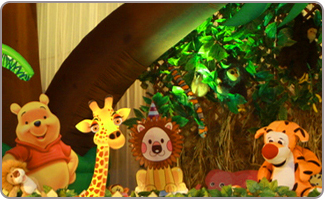 Jungle animal plush toys can be used to decorate the party space or the backyard where the party is to be hosted. Older kids can go on a safari, decked out in a safari hat and binoculars, to find as many of the wild animals as possible. 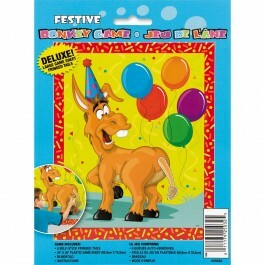 Pin the tail on the zebra or the monkey can be a fun twist on the classic party game. Think of the classic games and see how you can blend them with some safari party ideas. Duck, duck, goose, for example, can be changed to monkey, monkey, lion! Pass the hot potato can be a fun game for older kids to play, and with sticking to the jungle theme, you can change it to pass the crocodile! A movie or tv show that has a jungle theme can also be a fun way to entertain the little ones who may not feel up to interacting, especially if the weather is less than favorable. Dive for the crocodile is a fun game that involves filling a plastic kiddy pool with plastic balls and hiding plastic crocodile return gifts in the ball pit. The kids who can come up with the most number of crocodiles within a few minutes will win the prize! Be sure to have plenty of prizes on hand so that everyone has a chance to win a prize. There are numerous safari party ideas to fit in with this theme, including ensuring each guest goes home with their favorite wild animal plush toy. 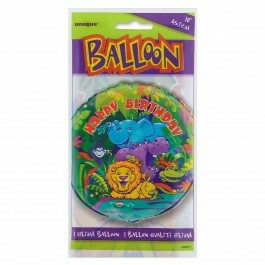 Plastic jungle animals that are age appropriate are also a good choice. The party return gift bags can also include a selection of favorite candy, a pair of binoculars, a water canteen, and many other return gifts from our selection of safari party supplies. The little guys will love a water squirt gun as a part of their jungle safari gear, while you may find that the girls prefer lip gloss or even scented bubbles. 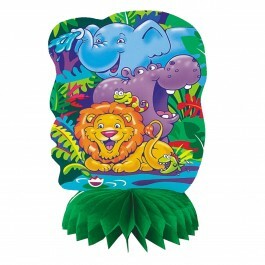 We have complete selection of jungle safari theme return gifts in India such as Safari theme party stickers are sure to be a hit, as will coloring books and non-toxic crayons and paints. 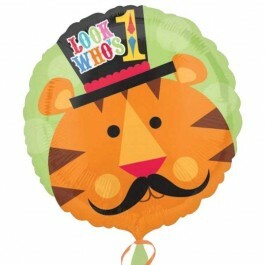 You can also give safari theme blowouts, hats and more. Don't forget to include a polite thank you note with the party favor gift bags, and perhaps a jungle-themed cookie or rice crispy treat for the guests to enjoy later. There are many safari party ideas for the birthday cake, including a themed cake that is decorated with jungle animal favors and even mini palm trees and chocolate sprinkles for the jungle floor. 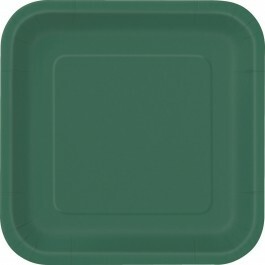 Use cookie cutters shaped like wild jungle animals to cut out shapes in the sandwiches offered to guests. Peanut butter and jelly make a great choice for your jungle-themed sandwiches, but cheese and ham will also work nicely. Pizza makes a great party food and if you plan on making personal pizzas for the party guests you could use pepperoni, olives, tomatoes, and cheese to decorate the little pizzas just like a lion or a monkey! Green jungle punch is a fun idea to serve up to guests. Ice trays that allow you to make ice in the shape of jungle animals can add a fun touch to the punch bowl, especially if you add a bit of food coloring to the cubes. Decorating your living room or your patio like a jungle can be a lot of fun if you borrow or rent plastic palm trees. Inflatable palm trees can also be found in party supply stores for a few reasonable amount of money. Ask family and friends to bring over a few of their houseplants to help you add a lush jungle vibe to your home. Offer a selection of safari party supplies that includes binoculars, water canteens, jungle maps, and little plastic compasses. 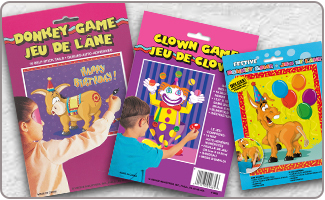 These won't just be a lot of fun on top of the party tables but they will also make fun grab party return gifts for the kids in attendance. With poster board, marker pens, paints, and a bit of creativity, you can create a fun welcome banner or sign post to put outside of your home when guests arrive. 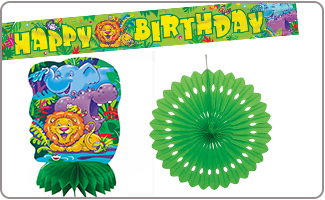 A party banner in line with the other safari theme party supplies we offer is also a great choice. 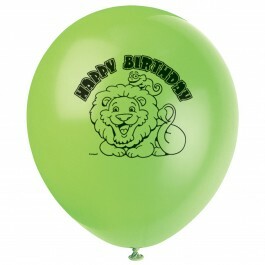 Decorate the party tables with safari birthday party tablecloths made from vinyl, for ease of cleanup. 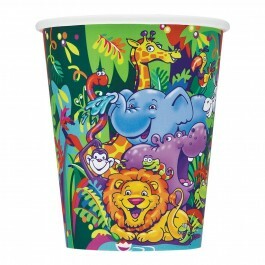 Themed cups, paper plates, straws, napkins, and other related decorations will add a fun touch to the jungle party. Explore our jungle safari supplies in India for easy and exclusive decoration. A petting zoo is a fun choice when it comes to safari party ideas. For the sake of your budget however, you may find that larger plush jungle animals are a better choice for your wild petting zoo!